I had a little bit of leftovers from the quilt I made (can't show it to you just yet) and made this table topper. The colors are so rich, the prints so beautiful (by Hoffman Fabrics), and the days had been so gray here that I had to keep them around me a while longer! This topper measures 28" x 28". I found a place for every scrap of fabric and I am happy with how it turned out. The piecing was done with Aurifil 50 wt in light gray, which worked perfectly with all the fabric colors. Then, I looked high and low in my thread collection for an Aurifil that would work with all the fabrics; no luck (gotta increase my Aurifil stash!!!) so I opted for Isacord (embroidery thread) in olive green. I like it! Its shine did not compete with the metallic lines of the prints. Tendrils needed to be part of this topper so I added it as a quilting motif. 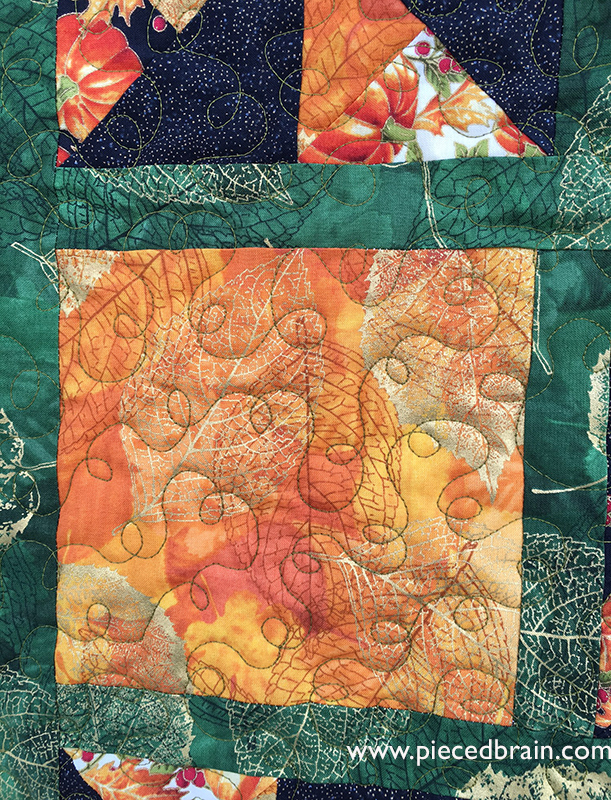 I took my time with the quilting and it worked. Yep, no orphan blocks because these have already become a project, my 5th finish this year so far. Two of them are for magazines so I cannot show them yet, and another one you will see before the end of January. For now, just trust me - this is the 5th! Have a wonderful (crafty) day! 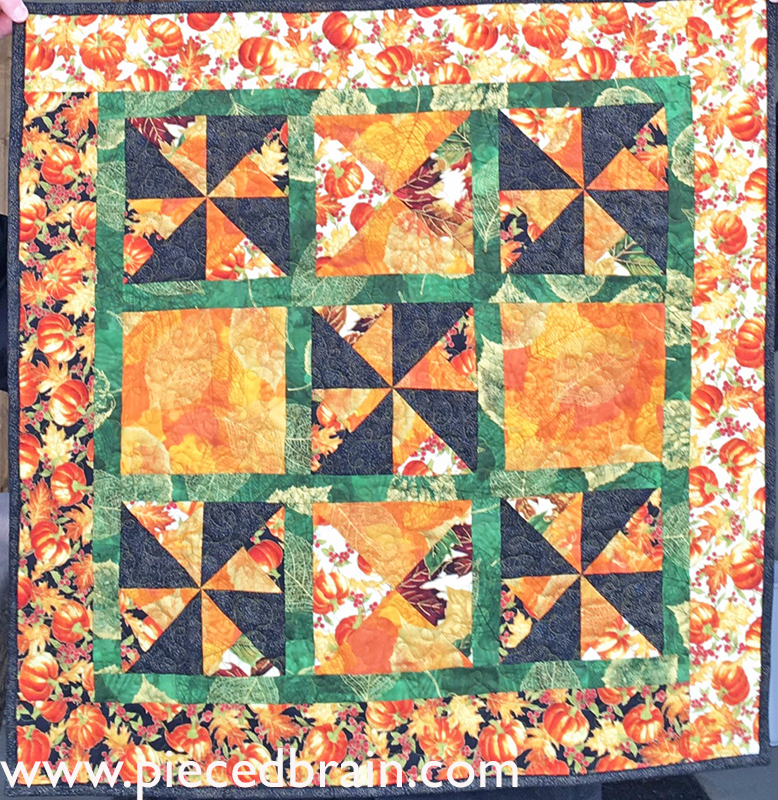 It's a pretty quilt, nice fall colors. You are on a roll! That looks wonderful.